David Newman is a retired Chartered Building Surveyor. Over the course of his career he has worked in local government and university administration and he has served as a director on the boards of several companies. 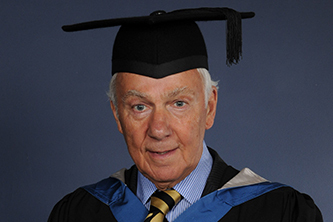 Mr Newman is a Freeman of the City of London, a Liveryman of the Worshipful Company of Clockmakers and Chairman of the George Daniels Educational Trust. 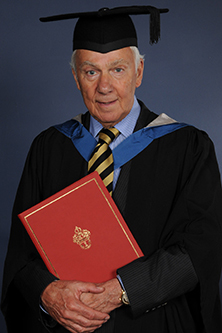 George Daniels - an alumnus of City's predecessor, the Northampton Institute, and recipient of an honorary degree from City - was one of the foremost watchmakers of the twentieth century. Under Mr Newman's leadership, the Educational Trust encourages excellence in clock and watchmaking through education and apprenticeships, providing grants and bursaries to those wishing to make a career from horology in the UK. The Trust also provides grants and bursaries for postgraduate students in the School of Engineering & Mathematical Sciences at City. Alongside his work with the George Daniels Educational Trust and the Worshipful Company of Clockmakers, Mr Newman is a Director and Trustee of the Crystal Palace Museum, President of the Bromley Branch of the British Sub-Aqua Club and a former Vice-Chairman of the Bromley Regeneration Business Forum.